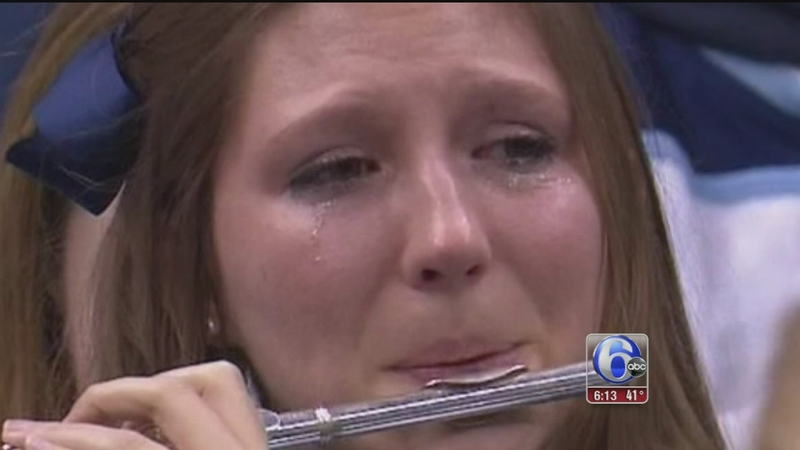 VILLANOVA, PA -- Remember Villanova's "Crying Piccolo Girl?" She's back, and this time, with her very own bobblehead. Roxanne Chalifoux was caught on camera tearfully playing her piccolo in the band after the Wildcats lost to North Carolina State in round three of the NCAA tournament. Chalifoux quickly became a viral hit with memes popping up all over the internet. A Kickstarter campaign was launched to raise $5,000 and in just three weeks the goal was met. No word on when the bobbleheads will be available.